To see your order status, go to the "My Orders" page. Cleans Where Others Can't: The slim 2.85'' body with an upgraded 1500Pa only cleans glides under furniture to vacuum where you can't see. BoostIQ™ Technology: Automatically increases suction power within 1.5 seconds when extra vacuuming strength is needed to get the best clean. 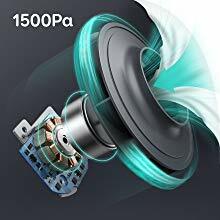 A Quiet Clean: Vacuums for up to 100 minutes** of constant, powerful suction at a volume no louder than an operating microwave. Premium Features: Anti-scratch tempered glass-top cover for protection, infrared-sensor for evading obstacles, and drop-sensing tech to avoid falls. Automatically recharges so it's always ready to clean. RoboVac 12 picks up dirt and dust with 1500Pa of suction power for a perfect clean you can see and feel. The large wheels roll over carpets, and climb over the ledges of doors without effort to get to the mess. 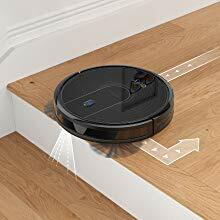 RoboVac uses drop-sensing technology to avoid falling down stairs and off of ledges. 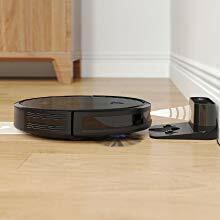 RoboVac automatically returns to the charging base when power is low, ensuring it’s always charged and ready to vacuum. RoboVac combines a dual-layer filter and one high-performance filter to acheive a clean home. Multiple cleaning modes and a pre-set vacuuming time ensure an effortless, thorough clean while you do other things or nothing at all. RoboVac cleans up to 100 mins* per charge, so you get to enjoy a completely clean home from a single charge. A large 0.6L dustbox holds more dirt per clean to reduce the frequency of emptying. Is the voltage universal? 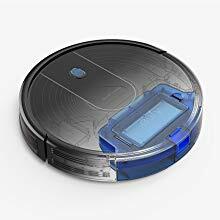 Does RoboVac come with a charger for my region? Robovac works with the voltages from 100 - 240V; a charger for the region it is sold in is in the packaging. If you want to use your RoboVac in other countries, you will need to use a plug adapter. The BoostIQ™ feature automatically increases the suction power if it detects stronger power is needed to ensure the best clean, which is ideal for cleaning thicker carpets and hard-to-clean messes. 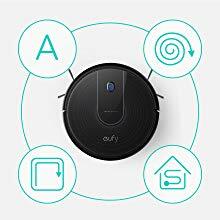 How do I identify if RoboVac is using the BoostIQ™ feature? RoboVac 12 is in the BoostIQ™ mode by default, which you can see on the display of the remote control. To change the default suction power to Auto Cleaning mode, just press the ""fan"" icon repeatedly to adjust the suction power level. The power level's corresponding icon is displayed on the remote controller. 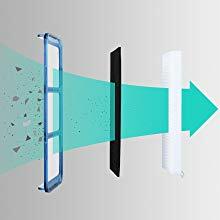 When RoboVac starts cleaning in Auto or Single Room mode the next time, it will clean according to the suction power level you previously selected. 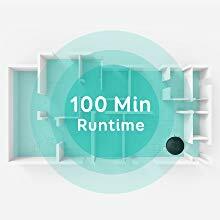 How long will RoboVac clean after a full charge? 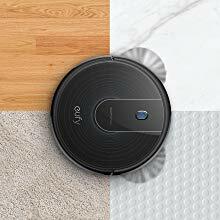 A fully-charged RoboVac will clean approximately 100 minutes in Standard Mode on hard floors.